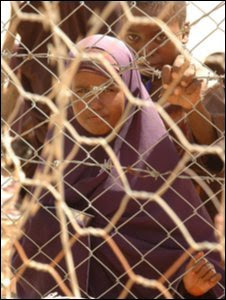 Dadaab, in north-eastern Kenya, is the world's biggest refugee camp, home to 260,000 people. It was built in 1991 for Somalis fleeing the fighting that erupted with the collapse of Siad Barre's military regime. 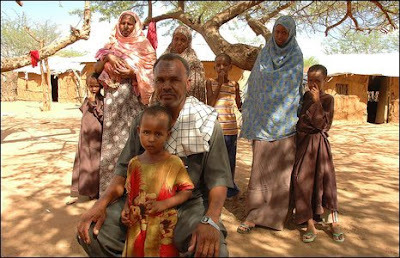 Eighteen years on, conflict is still raging and Somalis continue to seek safety there. We fled our home in 1991, when the fighting first broke out. It was very bad back then. There was killing and looting, so we had to come to Kenya. I was a farmer in Gede district, in the north of Somalia. In our village, there were a lot of armed militiamen who came to raid and molest and kill everyone who was living in that area. I thought it would only be for a month or so, and then we would return to my country, so in the beginning we never built anything permanent. We always planned to go home as soon as things settled down and became safe enough to return, but nea rly 18 years later, we're still here. I have no hope of returning now. I have to stay here. Every day there are 500 new arrivals, so it shows you that there is nothing to go back to. People are still leaving. Nobody is going back and I don't think I ever will. 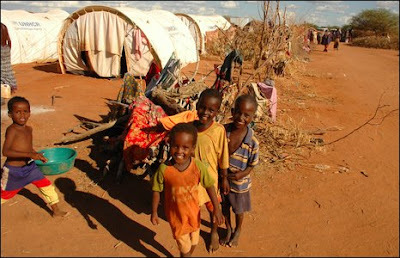 Our life here in the camp is peaceful, but it is still very difficult. There is a severe shortage of water, and the food ration is not enough for everyone. It is very hard here. I am the chairman of the camp, so I speak for the refugees. It is especially difficult for the young people because there is no future for them here. There are no jobs, no industry, and no hope. When I came here, my family consisted of three, but thanks to God, I have had six more children so now we are nine. I have a big family and I can't take them back. There is no peace in Somalia for two reasons. Firstly, it is because everyone has forgotten the country. 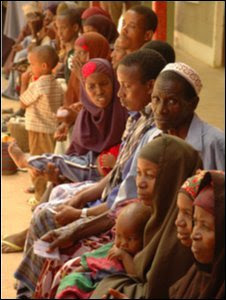 The international community no longer gives Somalia the support it needs to solve the problems. The other reason is that some countries keep arming the militias. That's why they keep on fighting. Without weapons they would have to talk and solve their problems. In the beginning, it was a fight between tribes, between clans. In Somalia clans are very strong. But now it has changed to be a fight over religion, and that is much harder to resolve. I'm very disappointed. Al-Shabab (a militant Islamic movement fighting to overthrow the transitional government) is not a good group because they are imposing a religion that says everyone who disagrees with them must be killed. But our religion says people must be respected, whatever their views, and their lives must be preserved. It is difficult to talk about the future, but right now, the situation is getting worse, because every day more Islamic groups form, and things become more fractured. Now my only wish is for resettlement in a third country. Then, my children can come and get a better education and some hope for a decent future, because here the education facilities are really not very good.